Vicki here sharing some Monday morning inspiration with you today. January is behind us and February is upon us but I'm thinking Spring today. I've met my quota of Valentine cards and I'm movin' on even though the ground hog saw his shadow! 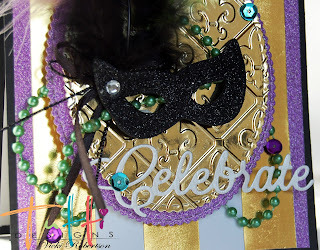 Tomorrow is Mardi Gras, which is French for Fat Tuesday as most know it. 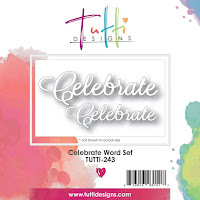 Celebrated in different ways throughout the world, it's a Christian festival day(s) prior to Ash Wednesday which signifies the beginning of Lent. 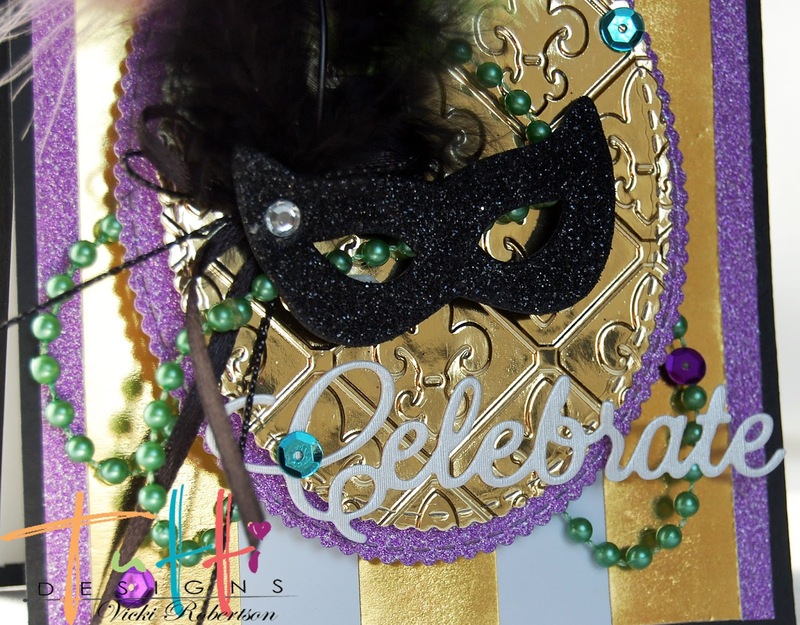 Colorful beads, masks and costumes of purple, green and gold are common sights during the festivities. 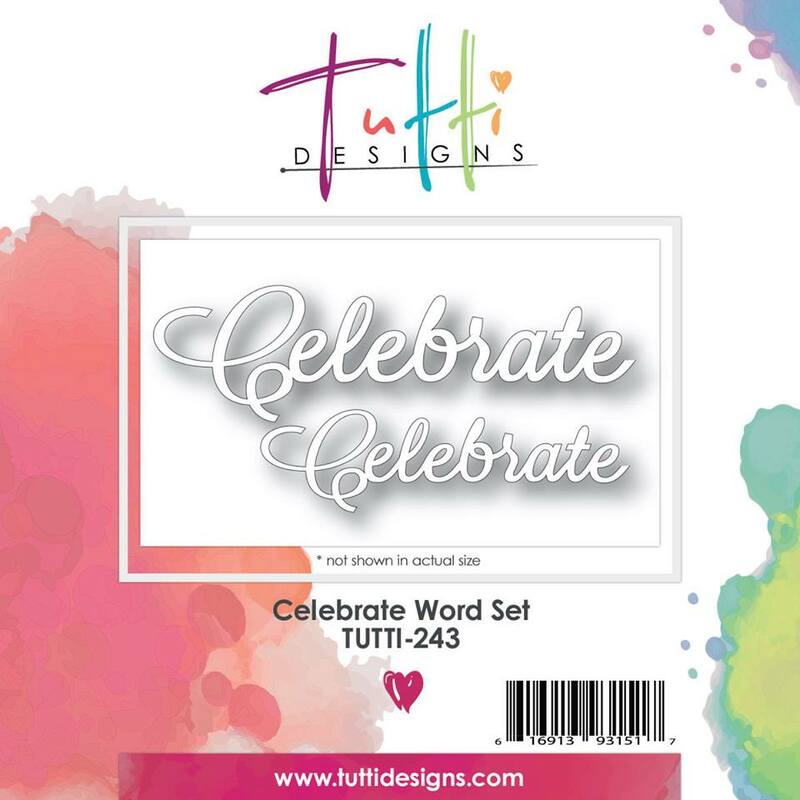 I used these colors as inspiration for my "Celebrate" card. 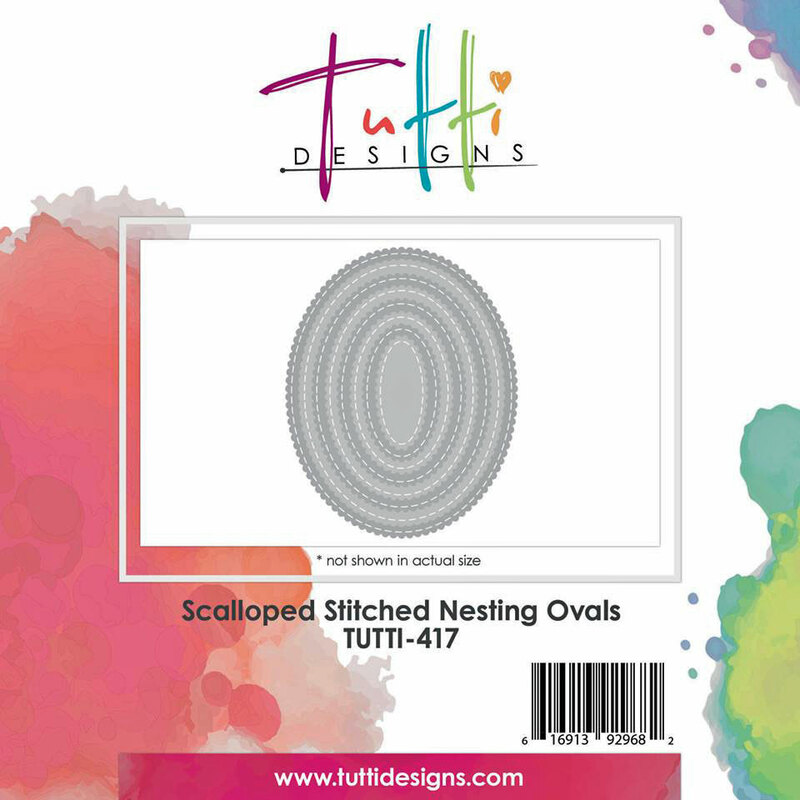 I die cut and embossed the focal background oval using the Scalloped Stitched Nesting Ovals then matted it with a larger oval cut from the same dies. 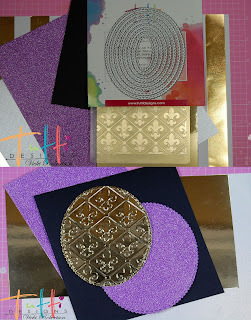 The Fleur de Lis is another French symbol often seen throughout Mardi Gras celebrations and I just happened to have an embossing folder with the Fleur de Lis design. 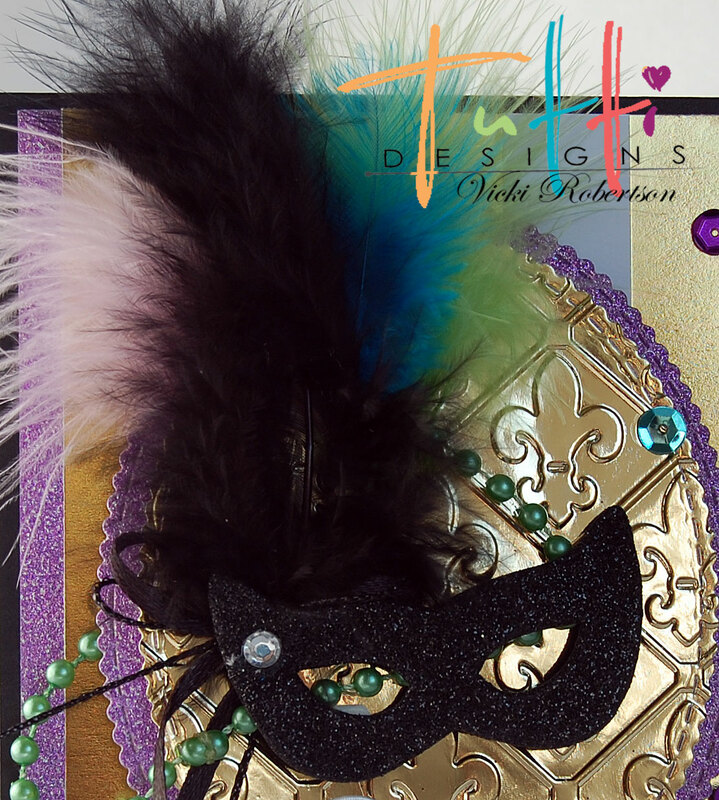 And embellished with beads, sequins and feathers! Thank you for stopping by to share my Monday Mardi Gras inspiration for Tutti Designs! Oh Vicky wow this is one stunning card and I love your design. Wow, very flamboyant! Absolutely gorgeous Vicki! Sure is awesome, great job, love the color and those dies work great! 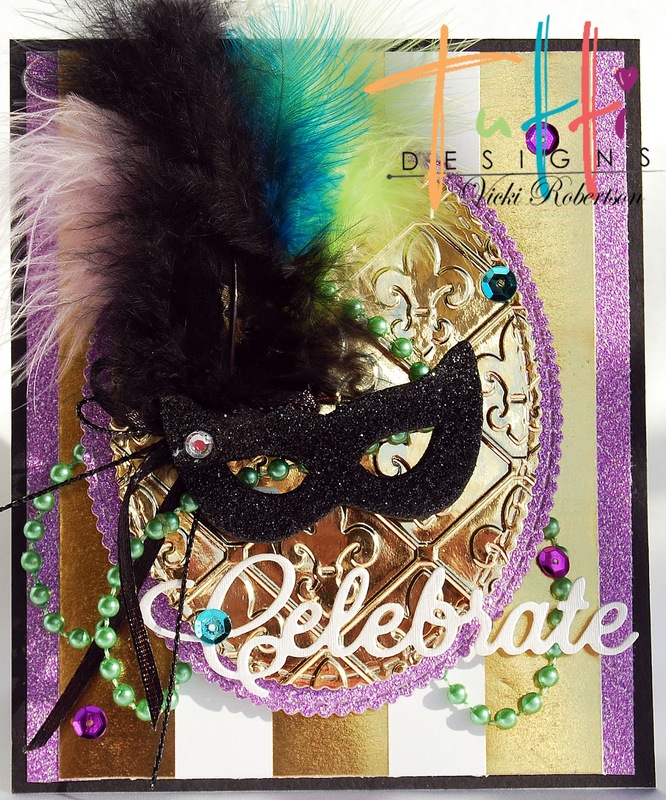 Wow..so creative and fun! great idea!